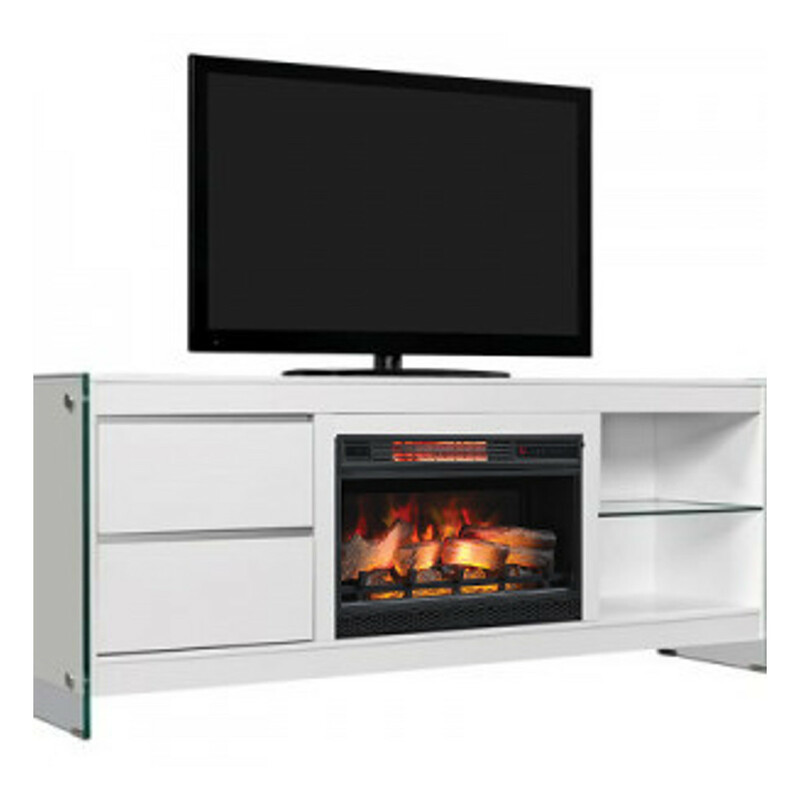 The Classic Flame Biscayne Media Mantel 26MM6501-T411 in White features 120V/5200BTU /1500W heater w/fan and adjustable flame brightness. Fixed glass front. Simply plugs into a 120V wall outlet or can be hard wired. Spectrafire® 5 flame colors. This electric fireplace has high-intensity realistic LED technology, and has a timer for up to 6 hours. 1 Year limited manufacturer’s warranty. The Biscayne Media Mantel will hold most flat panel TV’s up to 80″ (155 lbs.) Two drawer storage and open area with included shelf and 3 position light for decorative display or A/V components. Pure white painted finish over wood materials plus 12mm thick tempered safety glass sides.